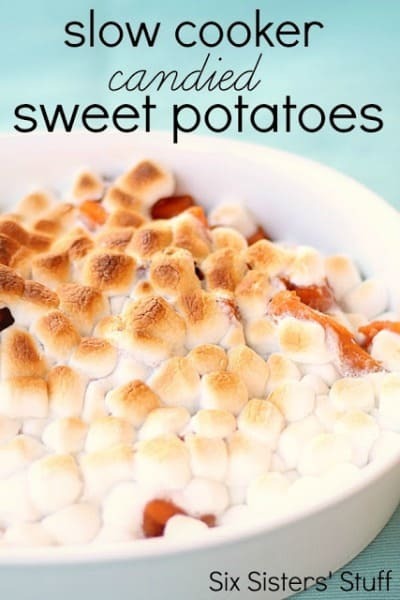 I love sweet potatoes but I’m not very creative when it comes to sweet potato recipes. My favorite way to cook a sweet potato is to cut it up into strips and make homemade fries. Mmm…they are so tasty! It’s time that I learn to be a bit more creative in the kitchen so I’ve gathered some delicious sweet potato recipes from other talented bloggers and masters in the kitchen. To view the full recipe for any of these ideas, simply click on the title of the recipe and it will open in a new window for you. 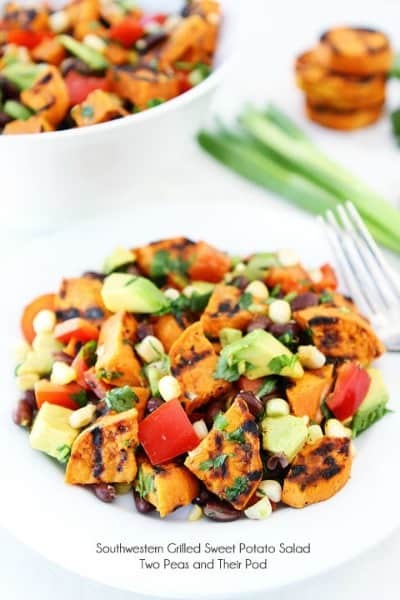 This Southwestern Grilled Sweet Potato Salad (pictured above) by Two Peas & Their Pod looks so delicious! I bet this would be the hit at your next BBQ celebration or neighborhood block party. 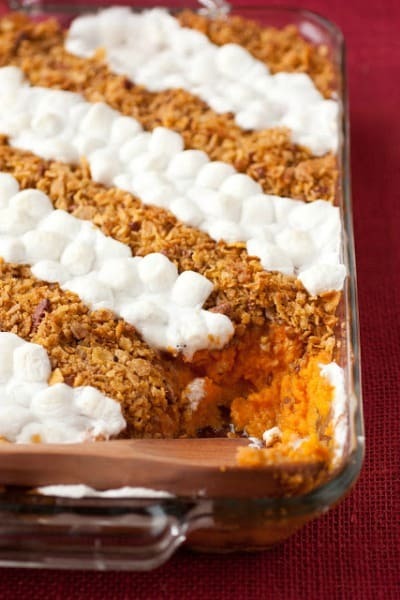 This Browned Butter Sweet Potato Casserole by Cooking Classy looks so yummy! I can see this being a popular dish at your next holiday dinner. I know we’ll be trying it here soon. 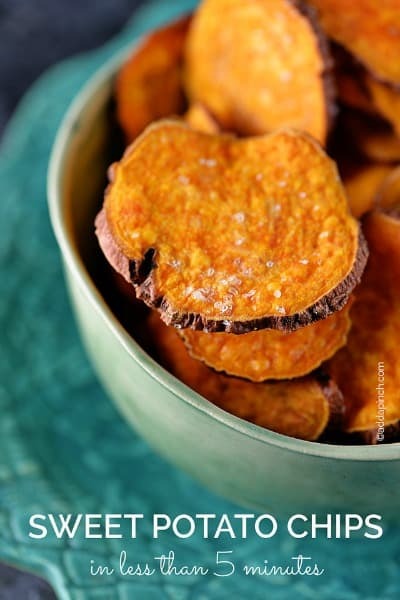 These Sweet Potato Chips by Add A Pinch look like a tasty & healthy snack. Can you believe they take only 5 minutes to make? That’s less time than it would take you to travel to the store to pick up an unhealthy bag of fried chips. 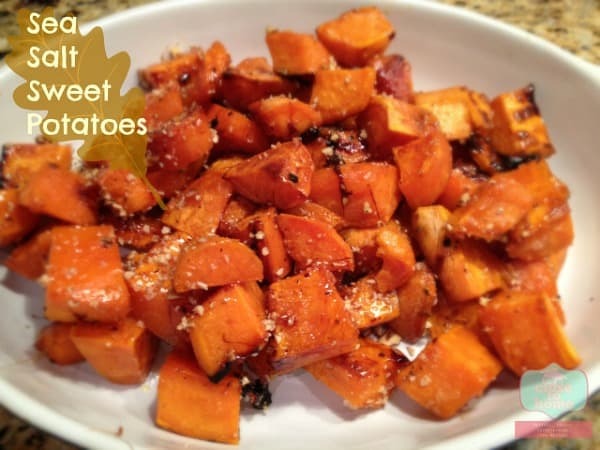 These Sea Salt Sweet Potatoes by Close to Home look delicious! I love sea salt on potatoes & I can see this recipe turning into a family favorite. 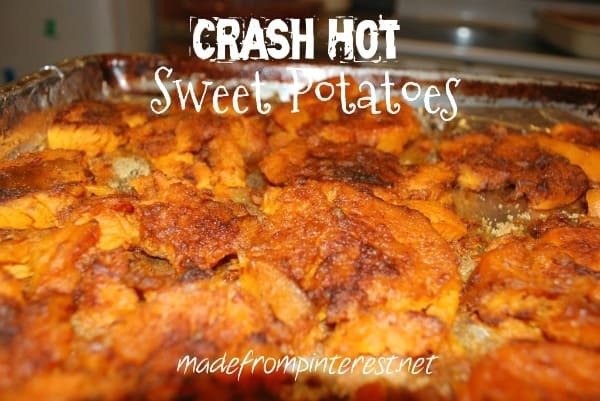 With rave reviews & hundreds of thousands of pins on Pinterest, I think it’s safe to say that we should all try this Crash Hot Sweet Potatoes recipe featured on Made From Pinterest. My dad always raves about candied sweet potatoes that he’s tried at restaurants but I haven’t tried them myself yet. 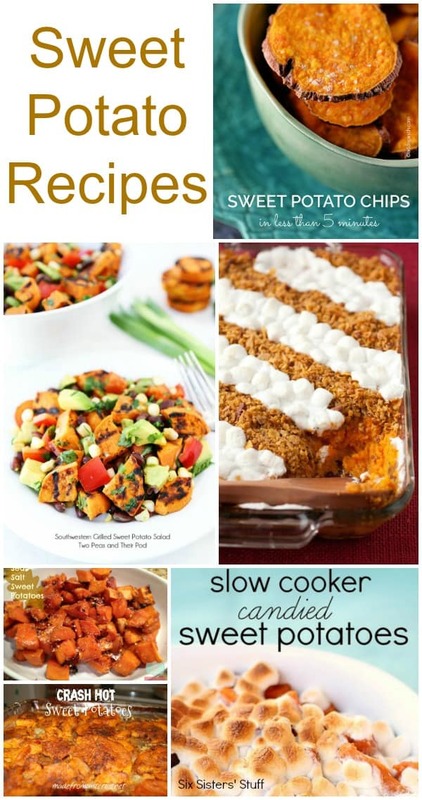 This Slow Cooker Candied Sweet Potatoes recipe by Six Sisters’ Stuff sounds like one I’ll have to try for Father’s Day! For more delicious ideas, visit our Easy Party Food & Family Recipes page. Planning for Thanksgiving? Check out more delicious ideas on our Thanksgiving page. Follow us on Facebook, Twitter, Pinterest, Google + and Bloglovin’ for the latest updates.